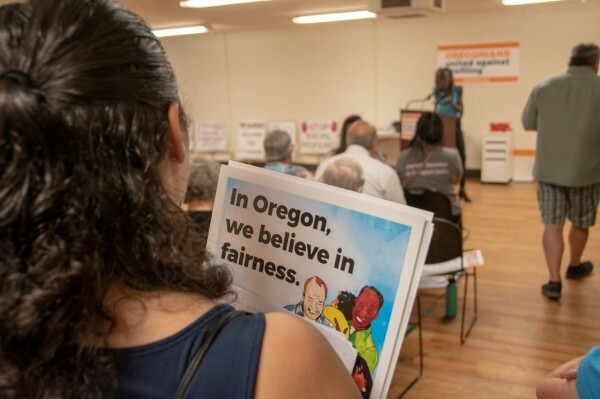 IMIrJ PDX: Stay connected. Stay engaged. Stay strong. 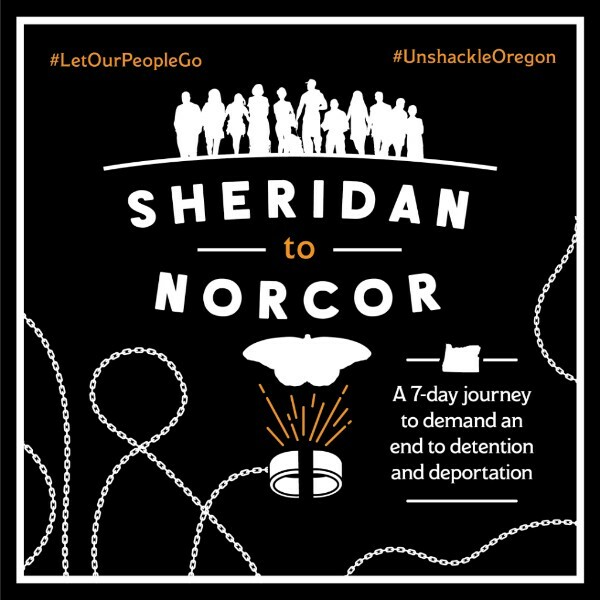 This month, we'll share stories from the 7-day Sheridan to NORCOR journey; get up-to-speed on two potential changes to immigration policy and the concrete steps we can take to minimize impact on immigrants and their families; and connect with leaders from other faith communities around our shared work. PS. Check out some beautiful photos from last week's "Sukkot at ICE" Last Thursday Witness vigil and yesterday's Portland leg of the Sheridan to NORCOR journey. Huge thanks to Kimberly Marie Kimble! Join us for the final stretch of our 7-day Journey! With events today in Hood River and tomorrow in The Dalles! Details here. Can't make it on Sunday? 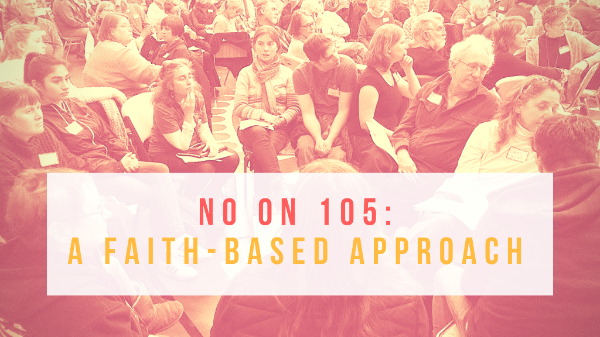 Check out Oregonians United Against Profiling for No on 105 canvass and phone banking opportunities all month long! 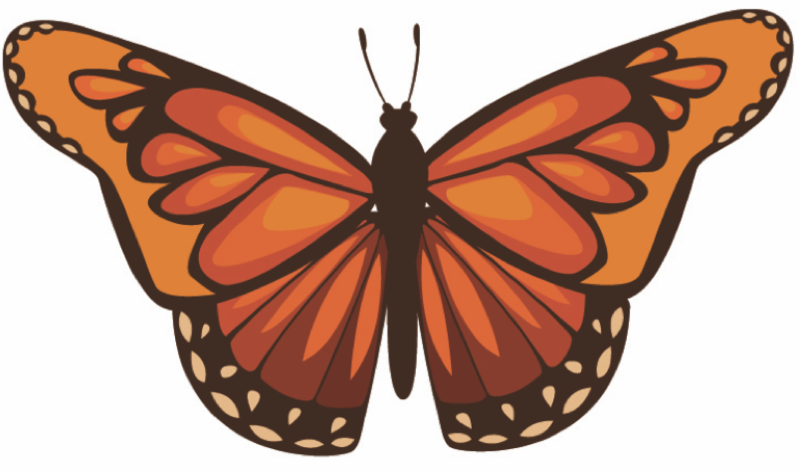 From now through the election, IMIrJ will host regular video conference calls to share strategies, challenges, stories and resources in our collective work to defeat Measure 105 and expand Sanctuary in its broadest and most holy sense. Watch for call-in details closer to the date. 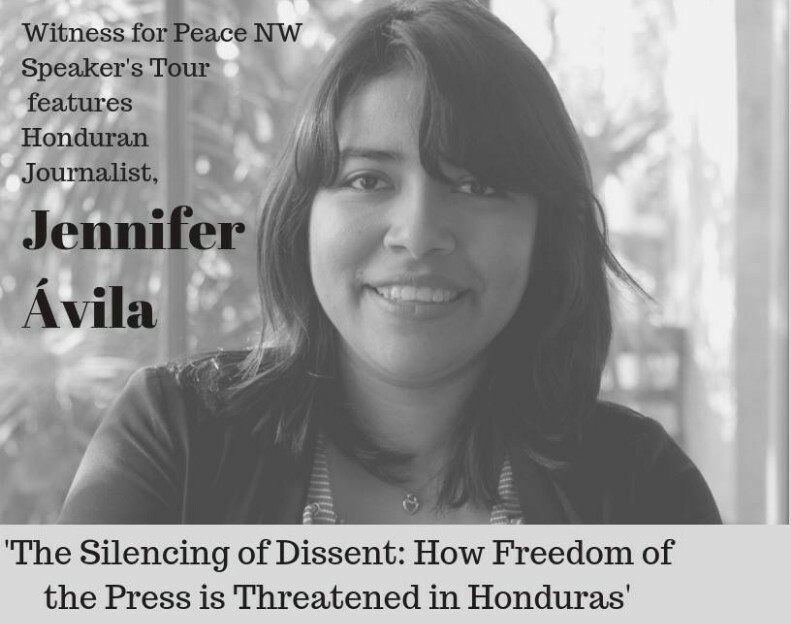 Join us to hear Jennifer Ávila share about the root causes of migration and other struggles Central Americans face due to U.S. & Honduran policy. Journalist, artist, and documentary film-maker, Jennifer Ávila is the Co-founder & Director of Contracorriente, a digital media platform. This event is presented by Witness for Peace Northwest. All are welcome!